Home » Taye Diggs Hits The Market With His Family! 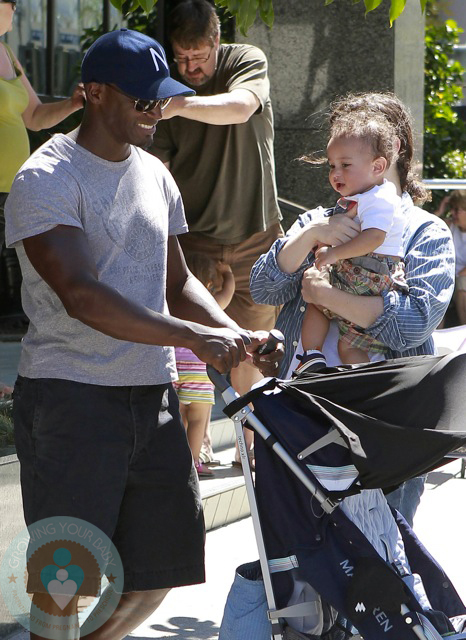 Actor Taye Diggs of “Private Practice” and his wife Idina Menzel of “Glee” were photographed yesterday spending time with their 10-month-old son Walker while shopping around the Hollywood Farmers Market in LA. Taye pushes a Maclaren Techno XLR stroller.